The use of Clinical Hypnosis has been shown by research to be beneficial for a plethora of issues such as: smoking cessation, weight control, pain management, anxiety, phobias, depression, self-concept/esteem issues, sexual/intimacy concerns, impulse control, concentration, memory, and much more. It entails communicating healing information therapeutically with the unconscious mind, which encompasses much of our knowledge and intuition. In essence, we use Hypnotherapy to assist our clients in gaining access to their own inner healing resources. Working with the unconscious mind through Clinical Hypnosis is an effective and evidence based approach to create rapid and long-term change. During this type of therapy, our clients usually feel calm and relaxed, while being more open to therapeutic suggestions. Specifically, the objective of Hypnotherapy is to facilitate integration of both hemispheres of the brain, therefore enhancing personal awareness and insight. 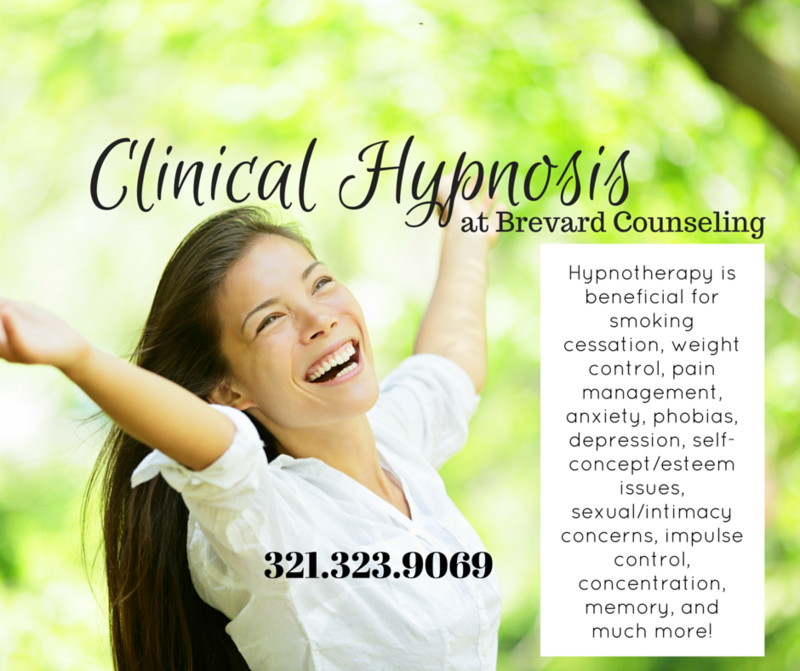 Our Certified Hypnotherapists at Brevard Counseling, LLC have successfully completed the necessary 50 hours of training in Clinical Hypnosis as required by the state of Florida. Call 321.323.9069 today to discuss..